Mr. Danford Sango is a Research Fellow and head of Policy Engagement and Capacity Development Department at the Economic and Social Research Foundation. The candidate has over twelve years of work experience in social economic research, policy analysis and capacity building. The candidate has a progressive career history in two Policy Think Tanks in Tanzania. Before joining the ESRF, Mr. Danford Sango worked for Research on Poverty Alleviation (REPOA) at capacity of Research Assistant from June 2004 to February 2012. The candidate holds a Master’s Degree in Agricultural Economics from Sokoine University of Agriculture (2003), and Post Graduate Diploma in Poverty Analysis for Social Economic Security and Development from International Institute of Social Studies, Erasmus University Rotterdam - Netherlands. Mr. Sango’s key areas of strength are in Poverty and Human Development Analysis. The candidate has also accumulated substantial knowledge and experience in Programme Management. Since he joined the ESRF in 2012, the major part of Mr. Sango’s work has been to coordinate Tanzania Human Development Report (THDR) project – a project through which Tanzania is producing its National Human Development Reports. On the other hand, a major part of Mr. Sango’s work at REPOA has been to serve in the secretariat of Research and Analysis Technical Working Group (R&AWG) – a constituent part of the Tanzania’s Poverty Monitoring System. In addition to programme management, the candidate also has a substantial knowledge on management and coordination of large scale surveys. During the period of June 2004 to December 2005, the candidate worked as a Research Assistant in REPOA/World Bank/FAO Household Vulnerability & Market Based Insurance Schemes, a large scale household panel data survey in Kilimanjaro and Ruvuma Regions. 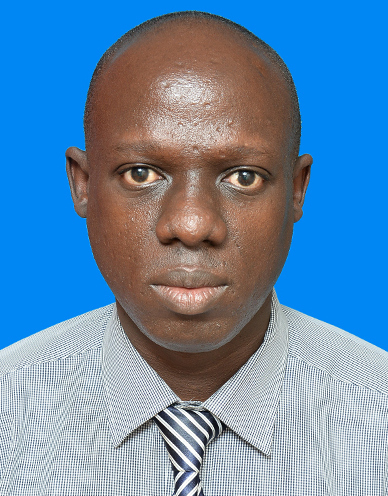 During 2010 to 2012, Mr. Sango was a Project Manager for REPOA/World Bank Impact Evaluation Study for National Agricultural Input Voucher Schemes (NAIVS). Some of the key research outputs that the candidate has participated in their production include Tanzania Human Development Report (THDR) 2014 “Economic Transformation for Human Development”, Poverty and Human Development Report (PHDR) 2011, PHDR 2009, PHDR 2007 and Status of Poverty Report 2006.